SA-430 Patriot The SA-430 Patriot 100/200-watt full featured remote siren is a strong, efficient traffic mover. Its versatility and durability make it ideal for installations where mounting space is limited and consistent performance is a must. The remote siren features a single lead connection from the control head to the amplifier and only protrudes an inch into the mounting space. 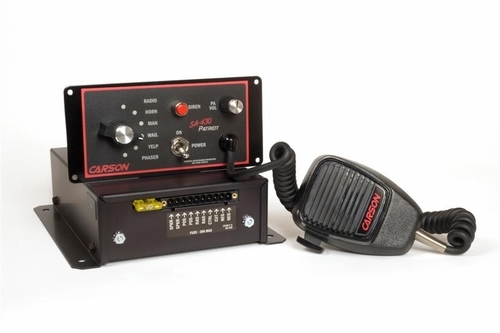 The features of the siren are easily selected at installation using an internal DIP switch. 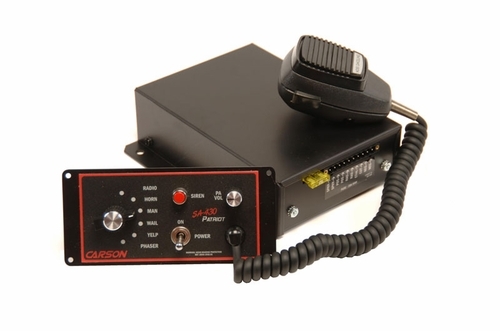 The SA-430 Patriot Siren is designed to power one or two 100-watt speakers and includes external fusing, short circuit, high voltage and reverse polarity protection systems. A wiring connector and optional mounting bracket for the PA microphone are included. 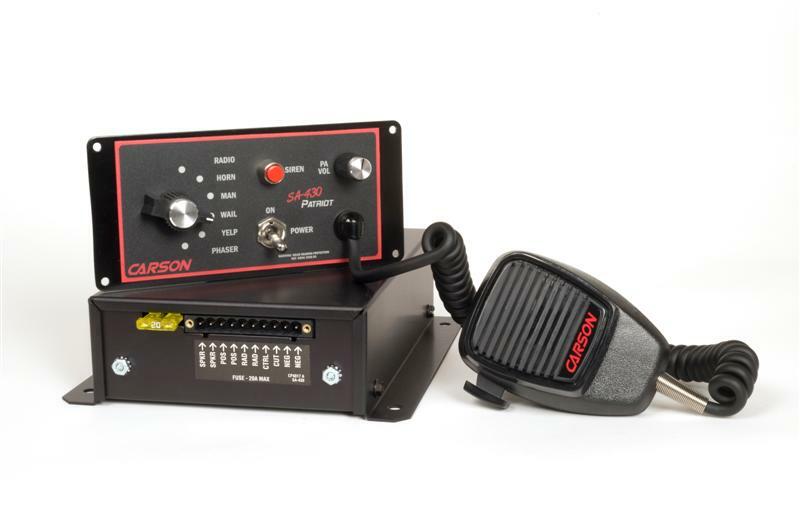 As with all Carson Sirens products, the Patriot is backed by a no-hassle 5-year limited warranty. I received new siren I had been using federal pa-300, 200 watt siren the sound comparison is very close. I ran it on a response did great. Very loud. Love the hands free mode. Recommend this to anyone who needs a great traffic clearing siren. I am very pleased. EASY TO INSTALL AND EASY TO USE. VERY NICE UNIT! !